This Light Award is sponsored by Light is Real and processed through Kiva.org. 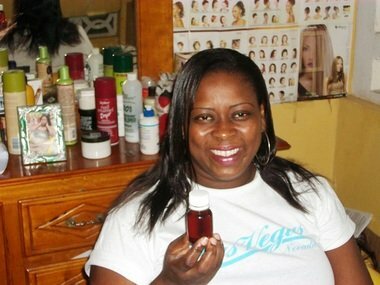 Ketly has been doing herbal hair oil for ten years. Hair treatment is what she likes doing best. Ketly wants to raise her production by procuring raw materials (oils and jars). The development of this activity will encourage at least one young adult to get training in manufacturing homemade hair treatment products. After having seen how this activity has improved her life conditions, Ketly turns to making it possible with a loan! Congratulations to Ketly in Haiti..!